The fully established Riverside Manor – a Sandton retirement village – meets a dire need for accommodation for the over 55’s. Knowing that the retirement village offers a secure lifestyle with various levels of care provides peace of mind for residents and their families. This Riverside Manor is situated on eight hectares in Sunninghill, in a beautiful environment with a view of the river, landscaped gardens, a swimming pool and abundant bird hide. The Sandton retirement village is in close proximity to retail centres, sporting facilities and comprehensive medical care centres including Sunninghill Medi-Clinic. Call us for a site visit today. string(21) "S26 01.464 E28 03.553"
string(17) "Private Bag x 204"
string(26) "101 Rivonia Road Extension"
string(46) "Riverside Manor – Retirement Village Sandton"
string(907) "The fully established Riverside Manor - a retirement village Sandton is proud to host - meets a dire need for accommodation for the over 55’s. Knowing that the retirement village offers a secure lifestyle with various levels of care provides peace of mind for residents and their families. What the Riverside Manor Retirement Village Sandton offers: This Riverside Manor village is situated on eight hectares in Sunninghill, in a beautiful environment with a view of the river, landscaped gardens, a swimming pool and abundant bird hide. The retirement village is in close proximity to retail centres, sporting facilities and comprehensive medical care centres including Sunninghill Medi-Clinic. It comprises of: 109 Freehold houses 40 Sectional title apartments 26 Assisted Living Suites 18 Private frail care rooms Community centre – club house and restaurant Call us for a site visit today." string(39) "Two small animals with prior permission"
string(45) "Houses have garages, Apartments have carports"
string(46) "Riverside Manor – Sandton Retirement Village"
string(887) "The fully established Riverside Manor - a Sandton retirement village - meets a dire need for accommodation for the over 55’s. Knowing that the retirement village offers a secure lifestyle with various levels of care provides peace of mind for residents and their families. What the Riverside Manor Sandton Retirement Village offers: This Riverside Manor  is situated on eight hectares in Sunninghill, in a beautiful environment with a view of the river, landscaped gardens, a swimming pool and abundant bird hide. The Sandton retirement village is in close proximity to retail centres, sporting facilities and comprehensive medical care centres including Sunninghill Medi-Clinic. It comprises of: 109 Freehold houses 40 Sectional title apartments 26 Assisted Living Suites 18 Private frail care rooms Community centre – club house and restaurant Call us for a site visit today." 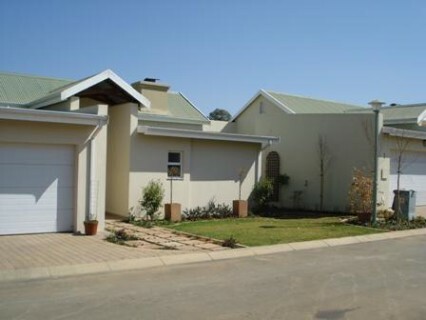 string(44) "Riverside Manor - Sandton Retirement Village"
string(127) "The fully established Riverside Manor - a Sandton retirement village - meets a dire need for accommodation for the over 55’s."